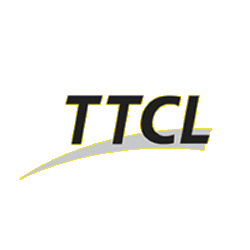 Tanzania Telecommunications Company (TTCL) has announced plans to invest more than USD 6 million in telecom equipment to help improve services for approximately 300,000 people living in 202 villages across 16 regions. The current development project is in line with the government’s commitment to connecting the entire country and will benefit residents in Arusha, Tabora, Iringa, Kagera, Manyara, Dodoma, Lindi, Mbeya, Morogoro and Mtwara with future developments planned in Mwanza, Pwani, Ruvuma, Shinyanga, Singida and Tanga. According to the CEO of the TTCL, Kamugisha Kazaura, the aim of the project is to ensure that areas that have been deficient in telecommunication services for a long time are developed and given access. The telecommunications development project follows an agreement between the TTCL and the Universal Communication Services Access Fund (UCSAF), an institution created in 2006 by the government with an objective to ensure the availability of communication services in rural and urban underserved areas in Tanzania.